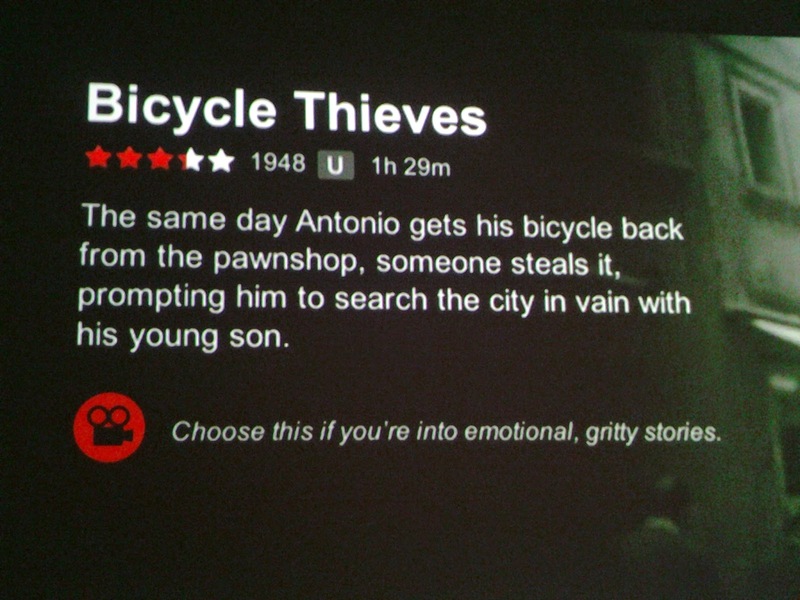 The Incredible Suit: Somebody get Netflix a thesaurus, stat! 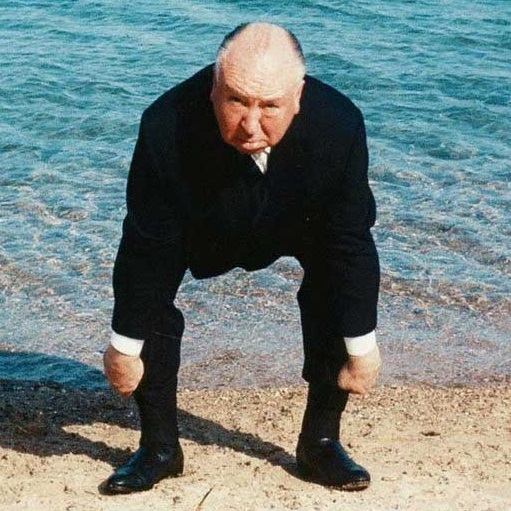 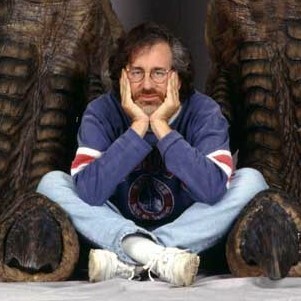 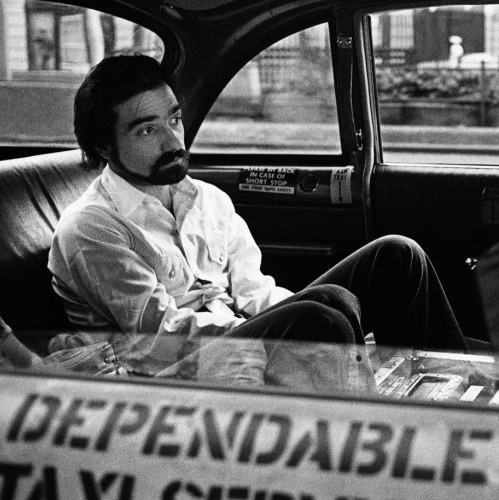 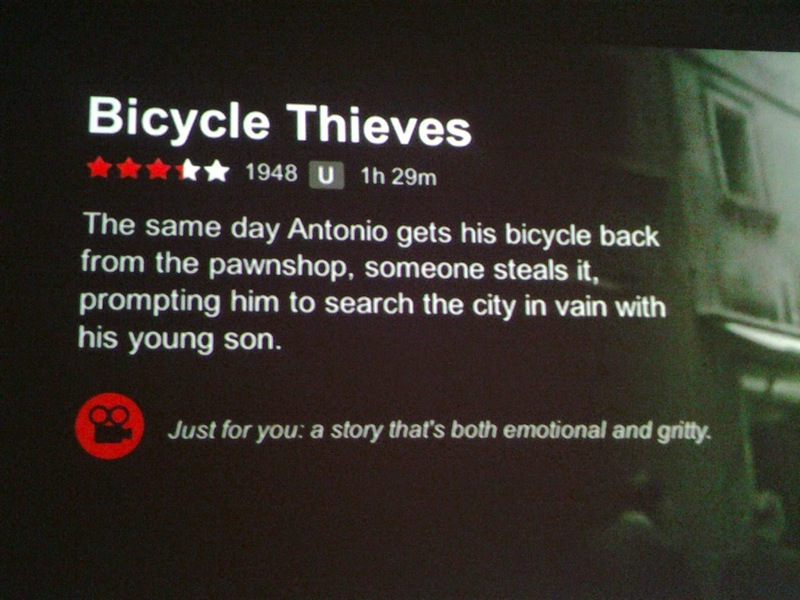 I recently decided to make the most of my Netflix subscription by catching up on some films I really should have watched by now. 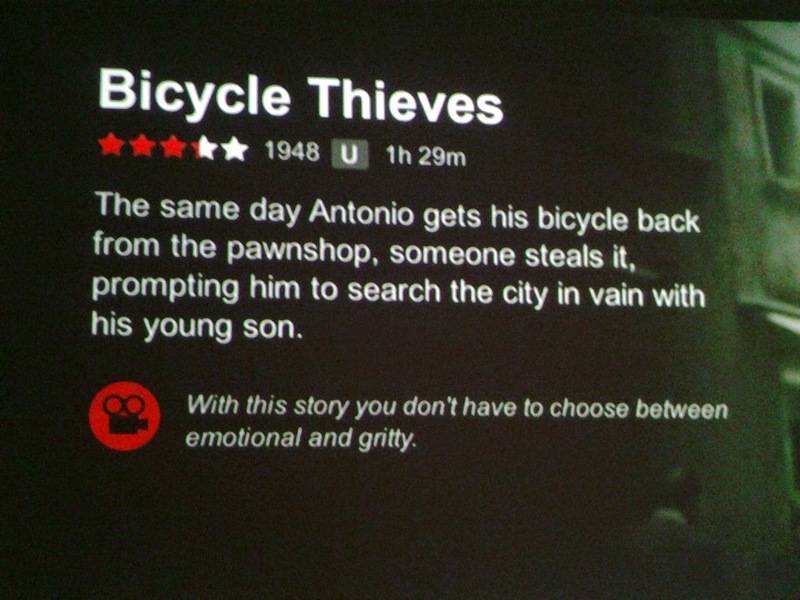 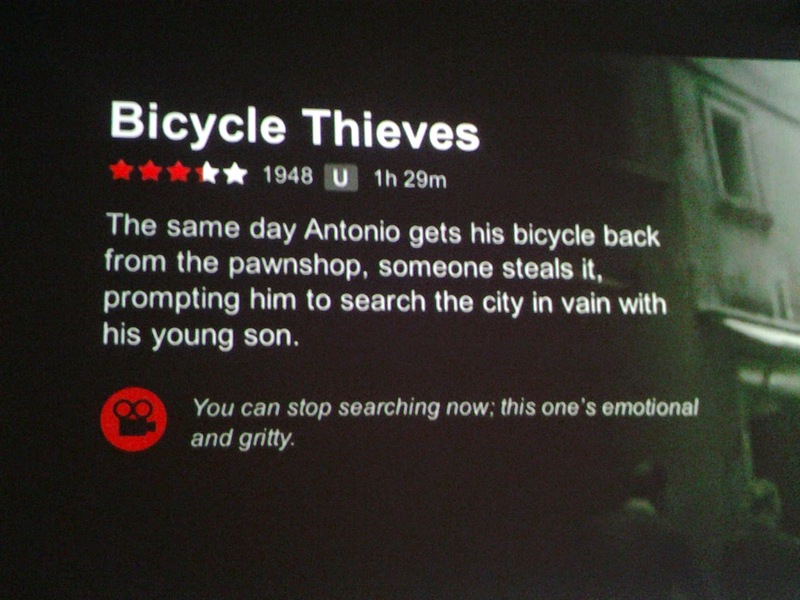 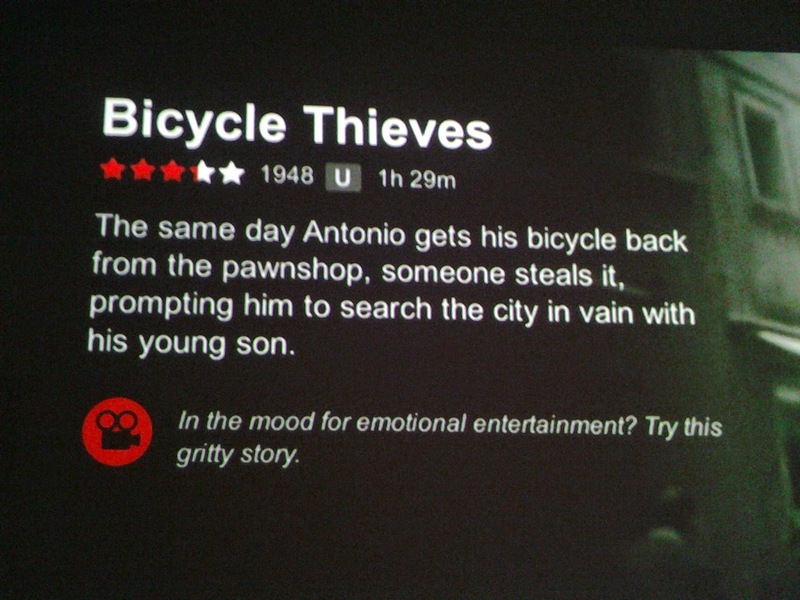 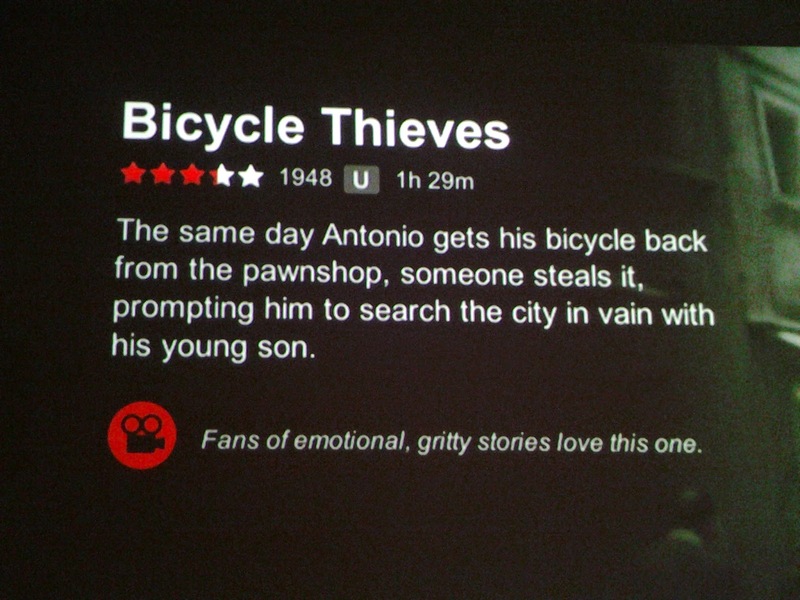 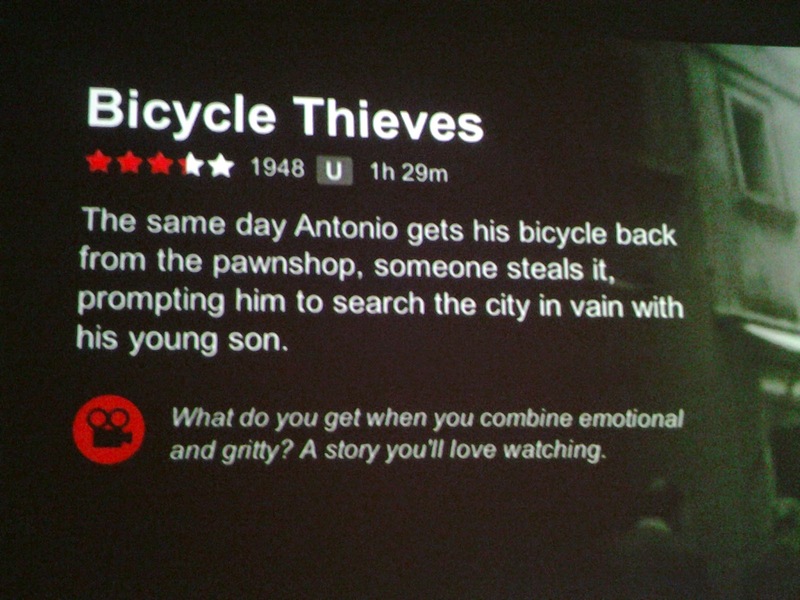 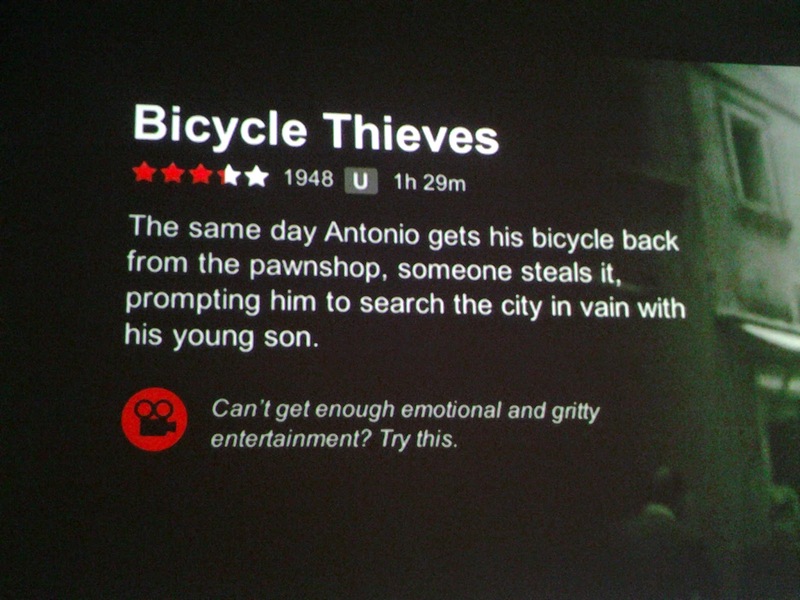 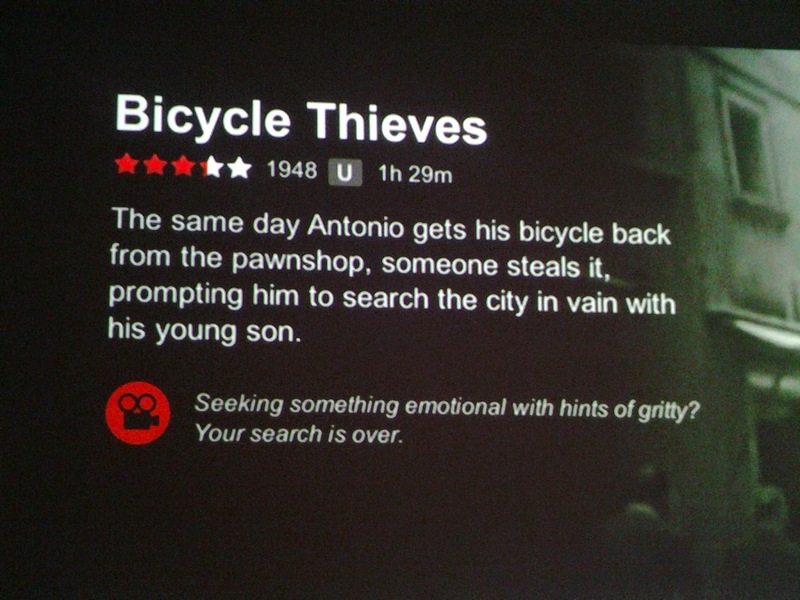 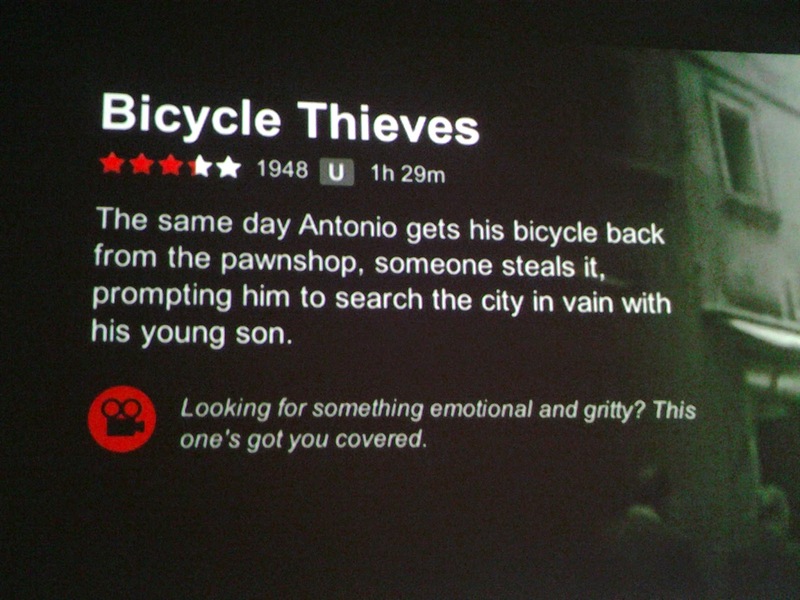 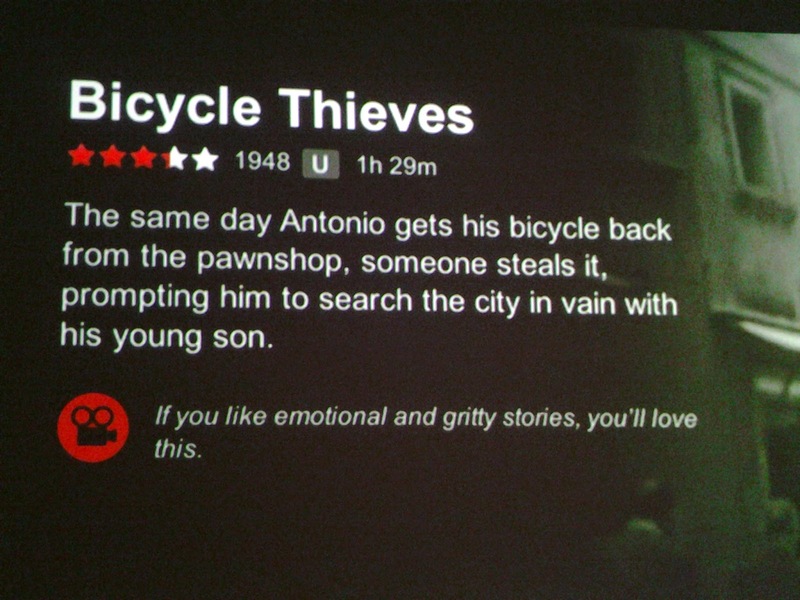 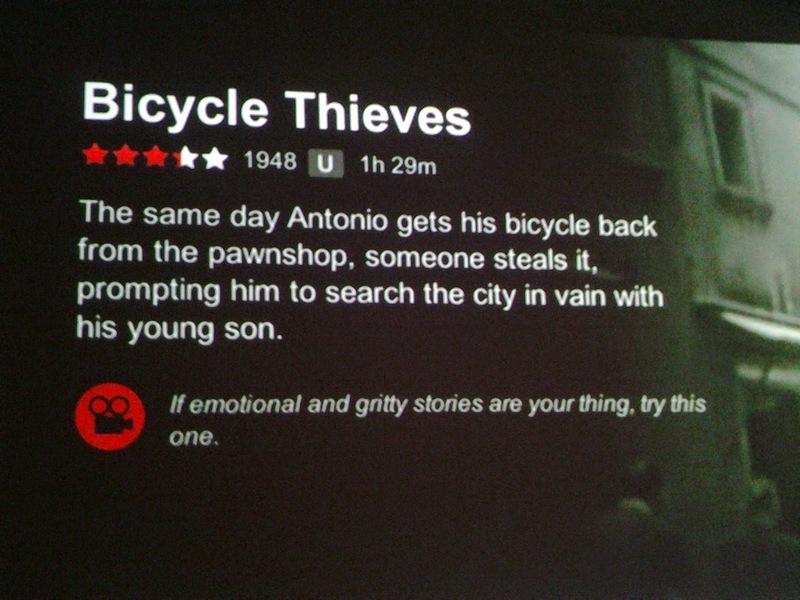 Italian Neorealist classic The Bicycle Thieves has been on my watchlist for a long time, but before I started I thought I'd see what Netflix had to say about it. 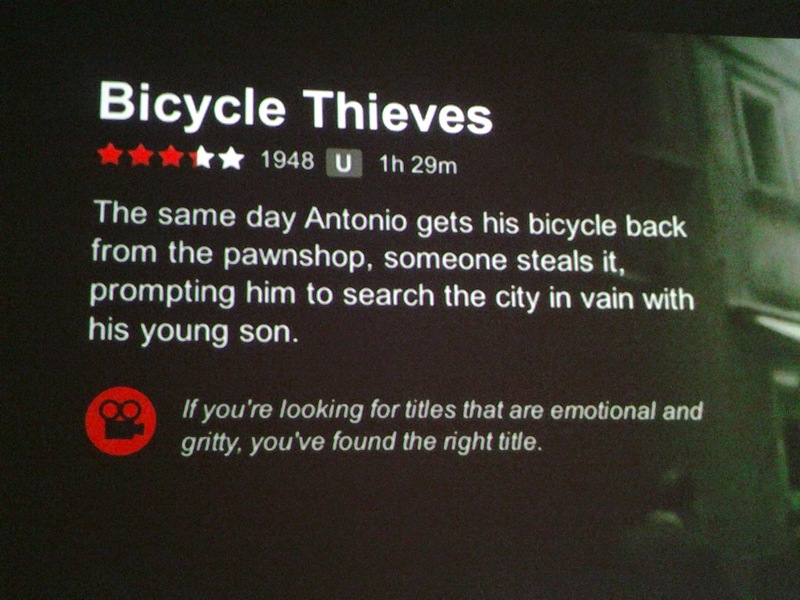 I'll be honest, at this point I got bored and just watched The Bicycle Thieves. 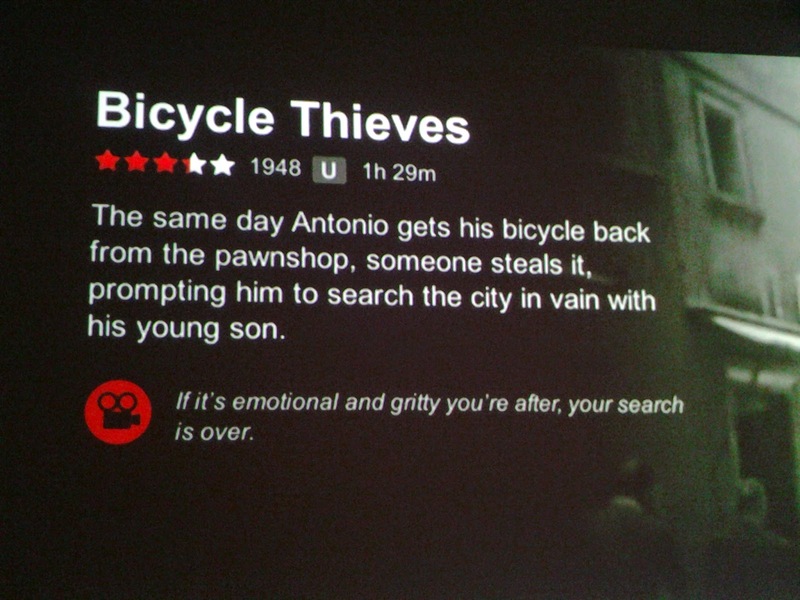 It's quite good: sentimental and, I suppose, a little bit farinaceous.